Notes: Data are from 46 states and District of Columbia in 2014. Smoking before pregnancy is defined as smoking in the 3 months before pregnancy. 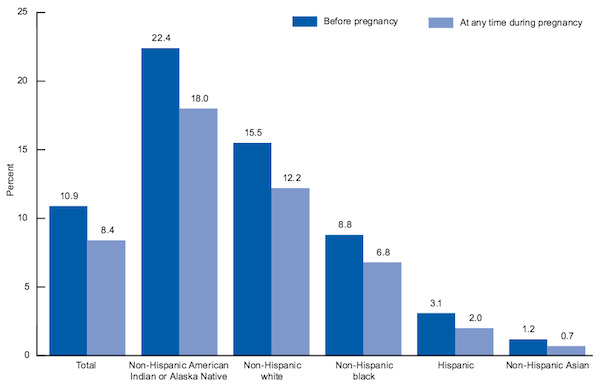 Data Source: CDC/NCHS, National Vital Statistics System. This entry was posted in Medicine and Society Data Watch on February 24, 2016 by Genevra Pittman.